The body responsible for decision making, supervising and assessing the Auschwitz-Birkenau Foundation's activity. Council members are individuals who have greatly contributed to the preservation of memory of Nazi crimes. They include experts such as historians, diplomats and intellectuals. Some of them also sit on the International Auschwitz Council, an advisory and consultative body to the Polish Prime Minister on the protection and management of the site of the former Nazi German death camp of Auschwitz as well as other Holocaust Monuments. Journalist specializing in religious and social matters. Secretary of the International Auschwitz Council since 2006. Between 2007 - 2015 the Adviser to the Secretary of State in the Office of the Plenipotentiary of the Chairman of the Council of Ministers for International Dialogue. From 2015 the Secretary of Władysław Bartoszewski Chair at Collegium Civitas. A member of the Jan Nowak-Jeziorański Association of workers, co-workers and friends of the RFE Polish Section. Former director of the Jewish Historical Institute, member of the Council of the Museum of the History of Polish Jews, member of the International Consultative Council for the new main exhibition at the Auschwitz-Birkenau State Museum. Between 2001-2014 Chairman of the Union of Jewish Communities in Poland. Member of the authorities of the European Jewish Congress. Historian, lawyer, vice-president of Fondation pour la Mémoire de la Shoah (Foundation for the Memory of the Shoah), chairman of Fils et Filles des Déportés Juifs de France (Association of Sons and Daughters of Jews Deported from France), member of the Council of the International Center for Education about Auschwitz and the Holocaust at the Auschwitz-Birkenau State Museum. Head of the Department of Conservation and Restoration of Mural Paintings at the Academy of Fine Arts in Cracow, member of the Council of the Auschwitz-Birkenau State Museum in Oświęcim. Historian, professor at the Nicolaus Copernicus University in Toruń, lecturer at the Collegium Civitas. Director of the Museum of the Second World War in Gdańsk. A member of the International Auschwitz Council since 2012. 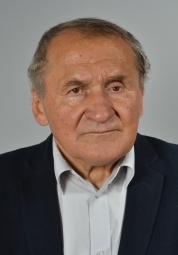 Former co-chairman and now deputy chairman of the Polish Council of Christians and Jews, editor-in-chief of Więź magazine, co-founder and chairman of the Social Committee for the Remembrance of Jews of Otwock and Karczew. Minister of education in Helmut Kohl’s cabinet from 1994 to 1998, prime minister of the Land of North Rhine-Westphalia from 2005 to 2010. Deputy Chairman of Citibank of New York for 23 years, former chairman of the board of Raiffeisen Centrobank in Warsaw, for 10 years the Chairman of the BPH bank. Chairman of the supervisory board of the BGŻ BNP Paribas. Survivor of Zamość expulsions during World War II. Long-term dissident during the communist period. Social activist. Member of Parliament during 1989-2001. Between October 2010 and August 2015 the advisor to the President of Poland for Social Affairs. Member of the International Auschwitz Council.